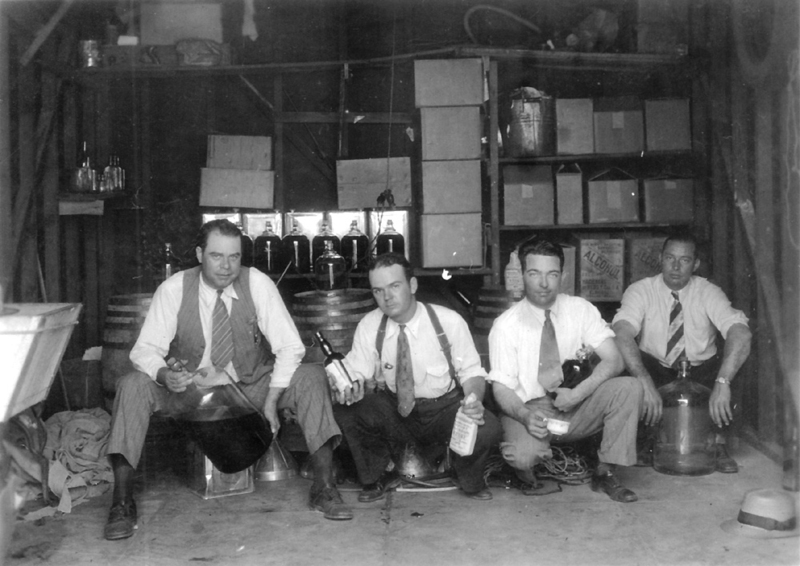 Newhall's "Dry Squad," whose job it was to confiscate the booze that was manufactured at the bootleg stills that were set up around town during Prohibition. B.F. Summers is second from left. RB0004: 2400 dpi jpeg from original print.